Introducing the Xbox One Controller Coaster - the latest and greatest gift for the geek nearest you. 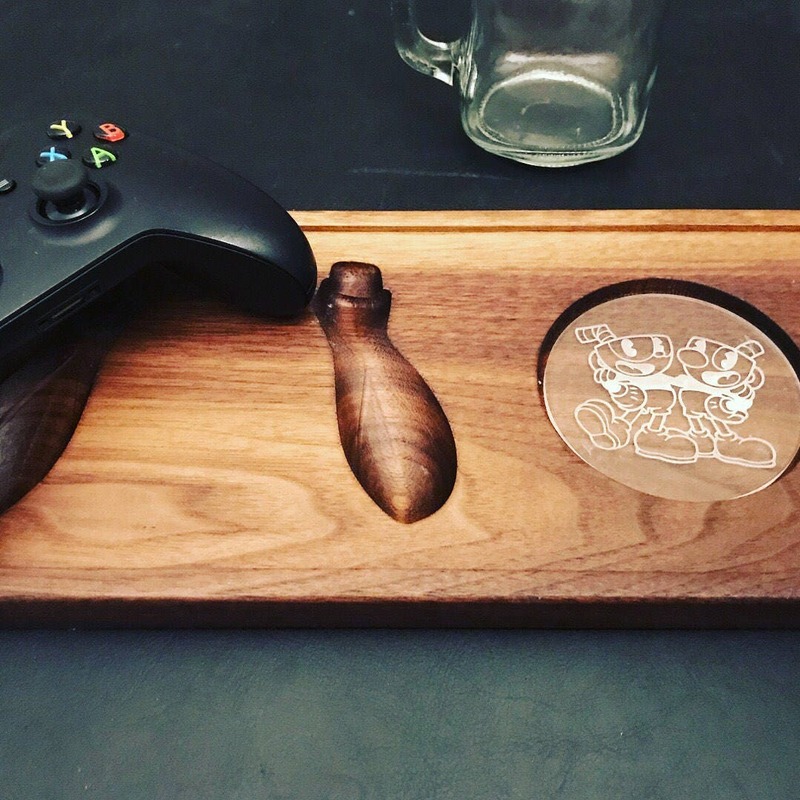 This transforms our popular controller holder into the ultimate drink coaster of every gamers’ dreams! 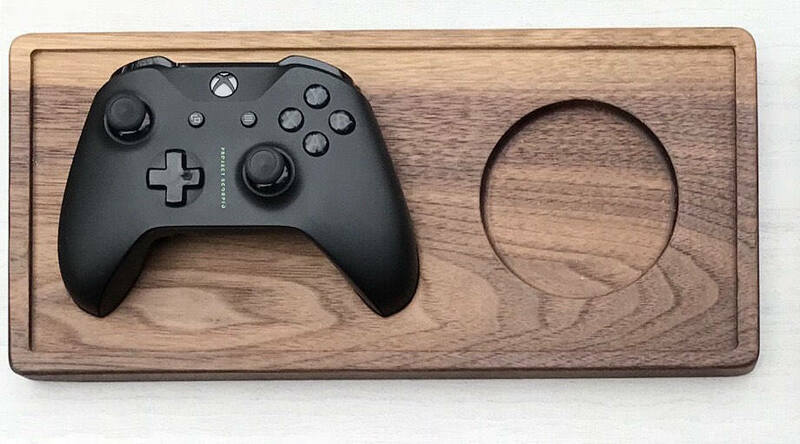 Who doesn't want a stylish way to organize (and display) your Xbox One controller? With this nifty option you also have a place for your drink! 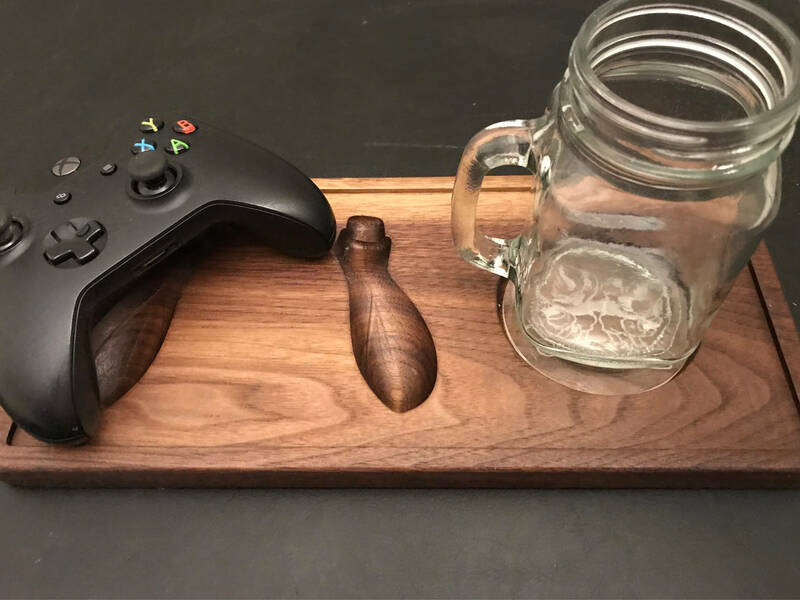 Each tray (approx 13"x6") is designed to hold 1-controller for either your XBox One, Xbox One Elite, Xbox 360, PS4, Nintendo Switch Pro controller, or XBox DUKE, and one drink. 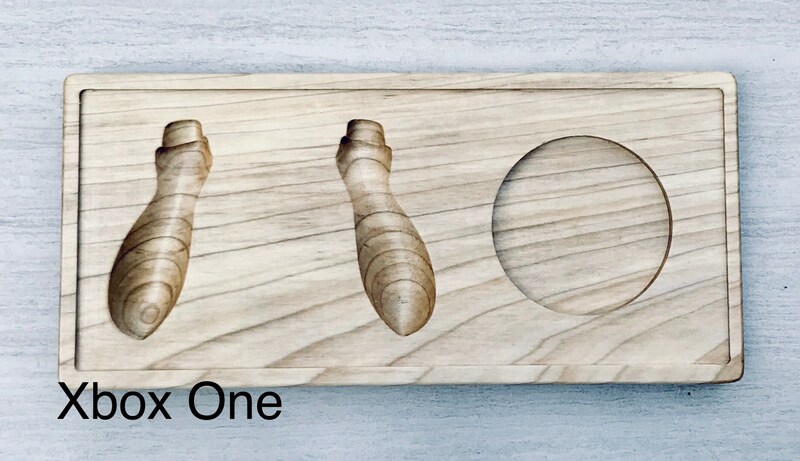 Each drink space has the option to include an etched acrylic insert for a small additional cost starting at $10 (as seen in the pictures) with the image of your choosing (provided by you as svg, png, jpg). Please contact us directly PRIOR to ordering to confirm details of this option. We may have access to some stock images, logos, etc. So just ask! - Raised Rim: Available on solid woods (Poplar & Walnut), not available on furniture ply. - Flat/Rimless: Available on all wood options. Considered a more sleek/modern look. See pictures and other listings for examples. Let us know. We are happy to work with you to make everything just right. Adjustments may or may not occur an additional fee. Are you ordering from the EU or other high-duty countries? PLEASE be aware of VAT and Duty policies when purchasing from the United States. These costs can be a STEEP addition and an unfortunate surprise if you are not prepared. Please know that these fees are NOT included in our pricing and we DO NOT send any funds to any global customs agencies. 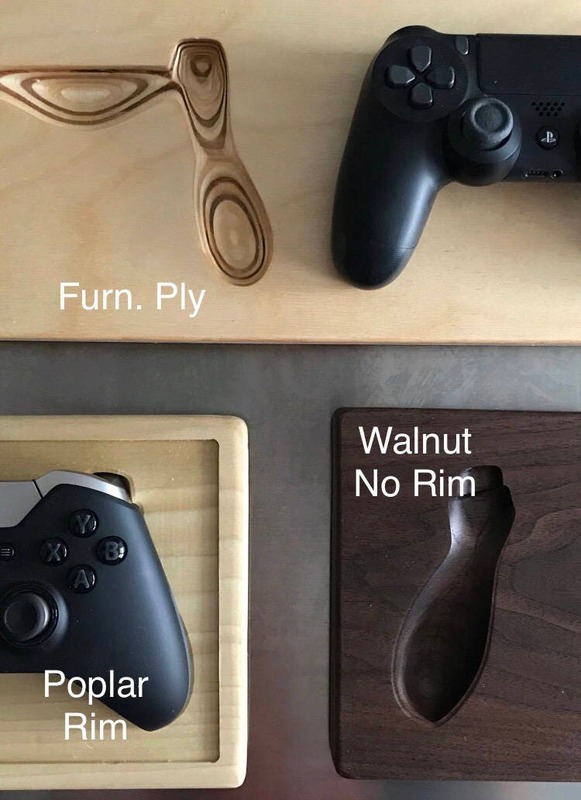 All products are hand made in Portland, Oregon.